As you may have noticed, my blogging has gone off schedule for a bit. I used to post 3 times a week, then it went down to 2 and now I’m just blogging when I feel like it at all. Having kept this space of the internet up for 4 years now (time flies! ), I know it’s normal to go through ebbs and flows in desire to blog and that’s ok. 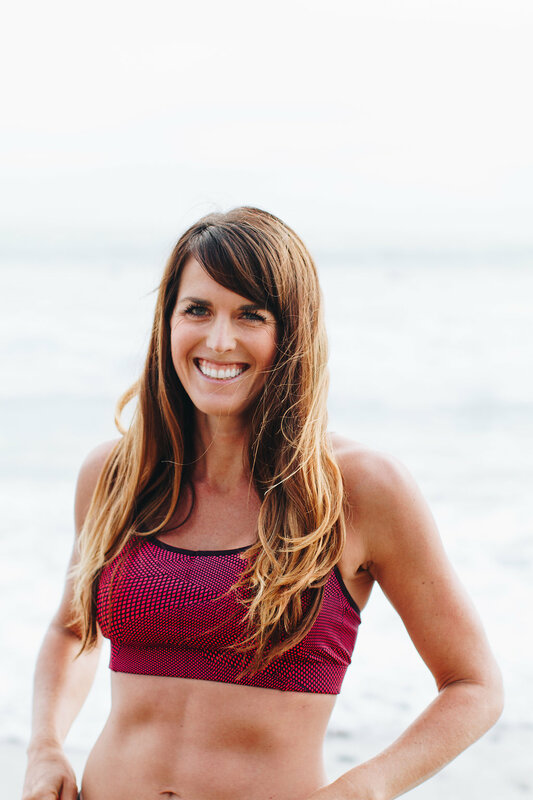 I blog mostly for myself – because I love to write and because I think my blog helps keep me accountable to my training. I also blog because it has connected me with so many fellow runners. The most rewarding part of blogging is when I receive feedback that I’m inspiring others. That’s really the best part and every time I get doubts about blogging, I seem to receive an email from a reader which reminds me exactly why I do it. Blogging has given me an outlet to share my passion with others. Even if my weekly recaps, race reports, recipe posts or random thoughts help inspire just one person to get active, that’s worth it for me! I’m excited because this year I am sharing my run love in 3 other ways other than blogging. First, as you know, I am a Rock n’ Blogger this year and I recently received my discount codes! 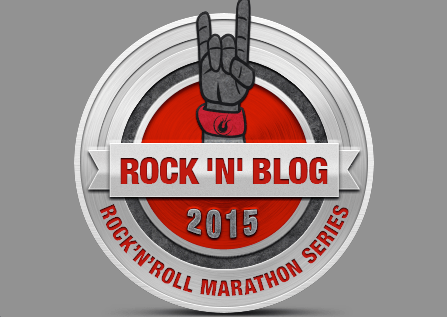 I signed up for the Rock n’ Roll San Diego Half Marathon and I was also given a discount code for others to use to receive $15 off any Rock n’ Roll Half Marathon or Marathon in 2015! Use code FITNESSFATALE (not case sensitive). Second, I am co-chairing a new Wellness Committee at work. 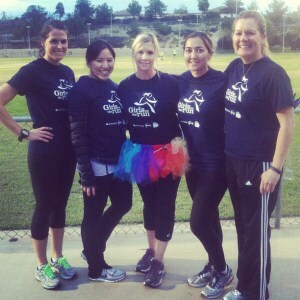 Our first order of business is to create a Charity Challenge event where our company is going to be training for a 5k! I’m really excited to help others get active as well as raise money for charity while we do it (every employee who raises $100 for the American Diabetes Association receives a free entry and team t-shirt). Besides the Charity Challenge, we’re trying to come up with other ways to get our offices more active and healthy – some ideas that have popped up are healthier options in our vending machines, a CSA box program, healthy potlucks, group walks or runs at lunch or after work, and lunchtime yoga. I’m looking forward to seeing what changes we can make in our workplace. Third, I signed up to be an assistant coach for Girls on the Run! I’ll be coaching 1x a week for 10 weeks after taking 3 seasons off. This will be my 4th time coaching and I’m excited! I’ll be coaching Girls on Track again, the program for middle school aged girls, at the same location as I did for the past 2 seasons. I like this age because the girls are a bit easier to wrangle and have longer attention spans. I also really struggled with self-image (I’m pretty sure we all did) in middle school so it’s even more meaningful for me to work with young girls this age. Cheers to a wonderful 2015 of giving back! How do you share your passion of running with others? Does your company have an employee wellness program of any kind? I love the girls on the run program, it seems so great. That’s awesome that you will be coaching. Love GOTR! I wish I lived closer to the MSP group so I could coach… my current commute is too far and combined with IM training, I just couldn’t fit it in right now. Eventually! I feel the same way about blogging!! I always seem to do better when I am training for something! Like you it keeps me motivated! I just don’t have anything write about right now!!! Thanks for the code. I want to run Vegas(which I think the code probably doesn’t work on) and Vancouver! I really want to do Vegas! It looks so fun! And you’re right, it is excluded . Boo!